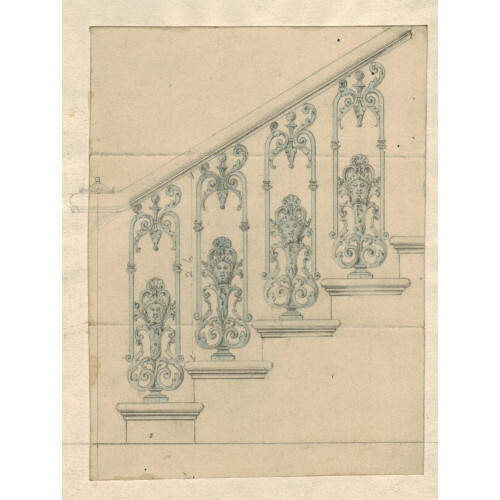 ORIGINAL SCALE DRAWING of balustrade with cast iron mask. 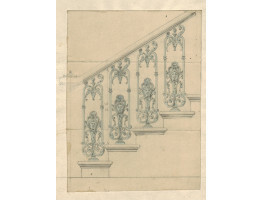 Well-executed design the height of the cast iron element is 2 foot six inches. Publication ? 19th century. 6 x 4.5in.